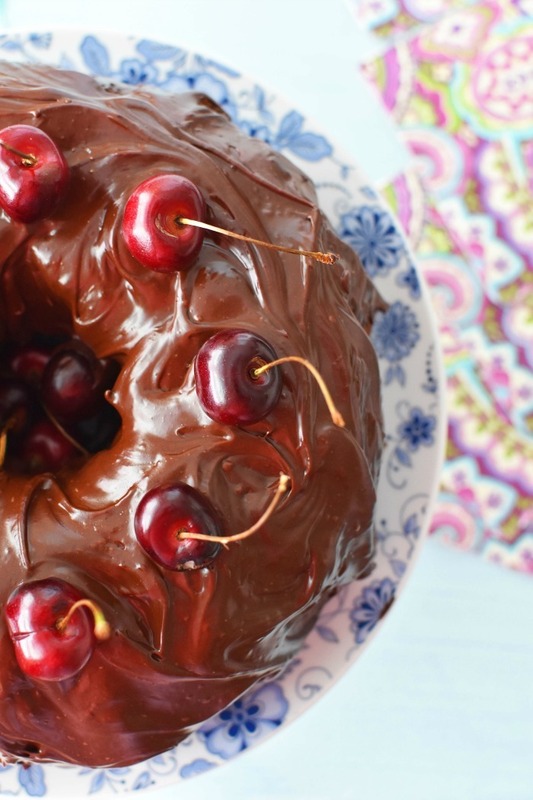 Have you ever had chocolate mayonnaise cake? No, I am not playing with you! I know my husband and kids were all sorts of shocked and slightly freaked when I told them I was making a chocolate cake out of mayonnaise. 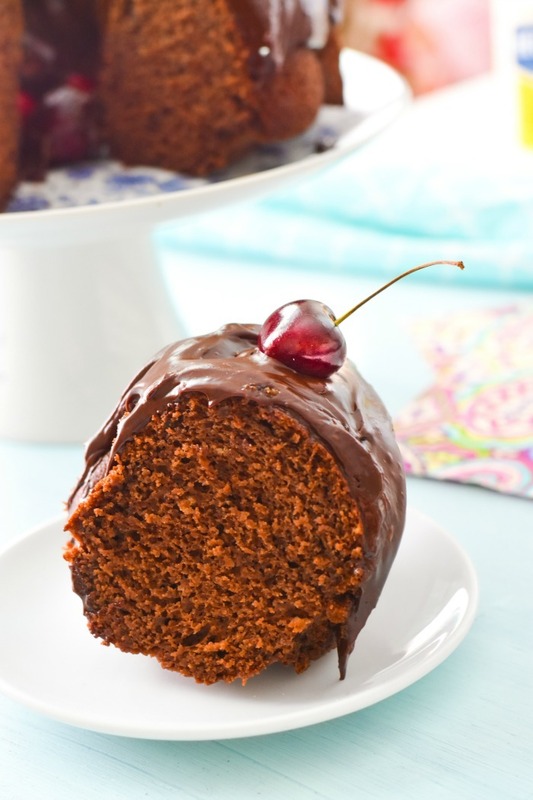 But, in all reality chocolate mayonnaise cake is super moist, and delicious! 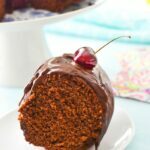 When you pair it with frosting made out of mayonnaise you really get a rich and decadent chocolate cake! Ok, I confess, I love mayonnaise on my burgers, and deli sandwiches. In fact, I order an extra side of mayonnaise just about every time I go out for a burger. Sadly, not all mayonnaise is made equally though. My favorite happens to be Hellmann’s Mayonnaise. Hellman’s is a backyard party must! It complements potato salad perfectly, makes burgers juicier, and helped to make some killer chocolate cake! Keep condiments (like Hellmann’s Mayonnaise & Hellmann’s Ketchup) and foods like cheese on ice. 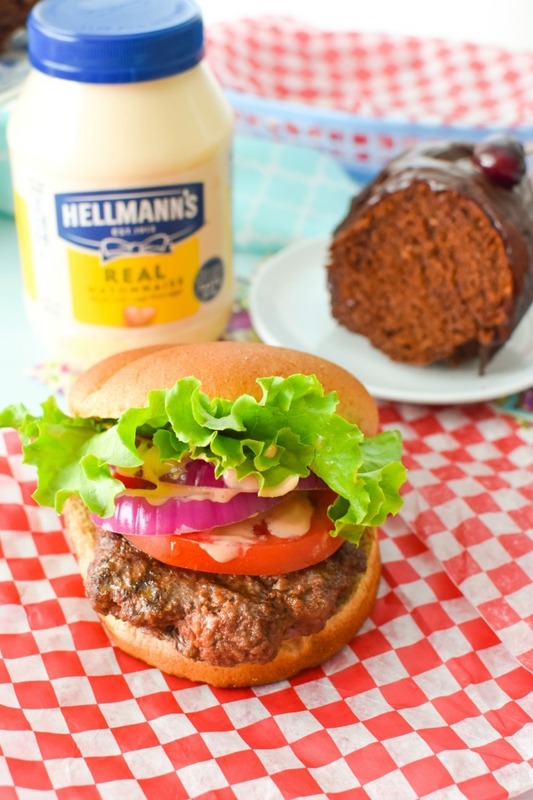 Purchase Hellmann’s Squeeze bottle Ketchup or Mayonnaise to make adding that dollop of mayo super easy to that burger. Fresh-press your burger patties ahead of time. Chop things like onion, and tomato the night before and put them in an air-tight container. We purchased our Hellmann’s Mayo at Walmart. Did you know that Walmart now has Online Grocery Pickup? Order your groceries online and simply pull up to the curb of select locations to have your groceries loaded into your car. Imagine how easy that can make an outdoor party? 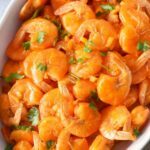 Online Grocery Pickup–need I say more? Need entertainment for your backyard party? Check out the Real Backyard Fun Hosted By Hellman’s Pandora Station as a fun option for music at your summer party!! No backyard party is complete without the tasty food! Hellmann’s is so creamy and doesn’t have that funky taste some other cheap brands have. I typically try to stock up when it is on sale because I use it in tons of recipes like mayo chicken and these Hellmann’s Best Burgers. The mayo is not only part of the special sauce, but it is also worked into the meat before shaping it into patties. 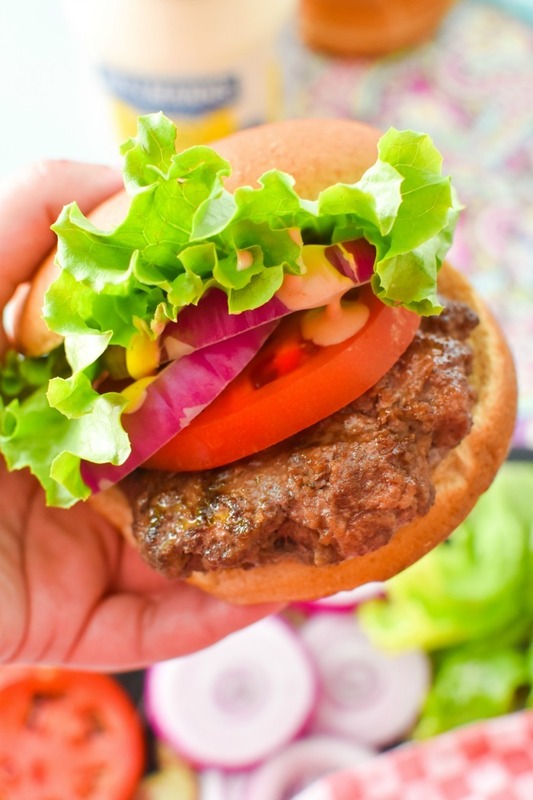 This makes for an incredibly juicy and flavorful patty. Simply mix 1 tablespoon of Hellmann’s® Mayonnaise into one pound of hamburger meat, add 1/4 cup of Hellmann’s® Ketchup, and form into 4 patties. Grill until cooked to your likeness. 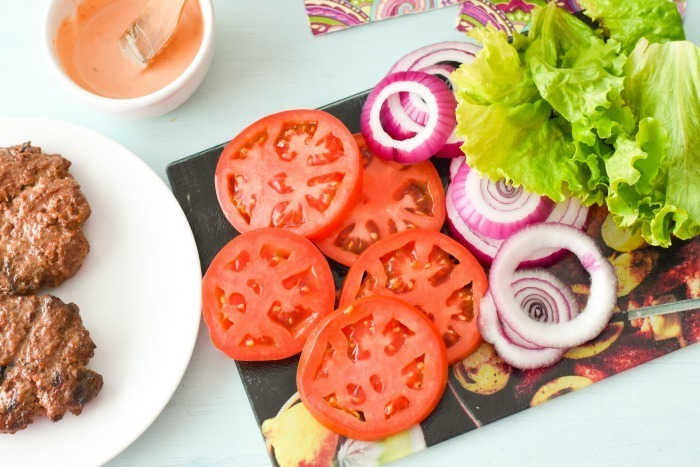 Add patty to a whole wheat bun and top with red onion, tomato, and lettuce. Oh, and don’t forget the sauce! I blend ketchup, pepper, and Hellmann’s® Mayonnaise to make the tastiest sauce for my grilled burgers. 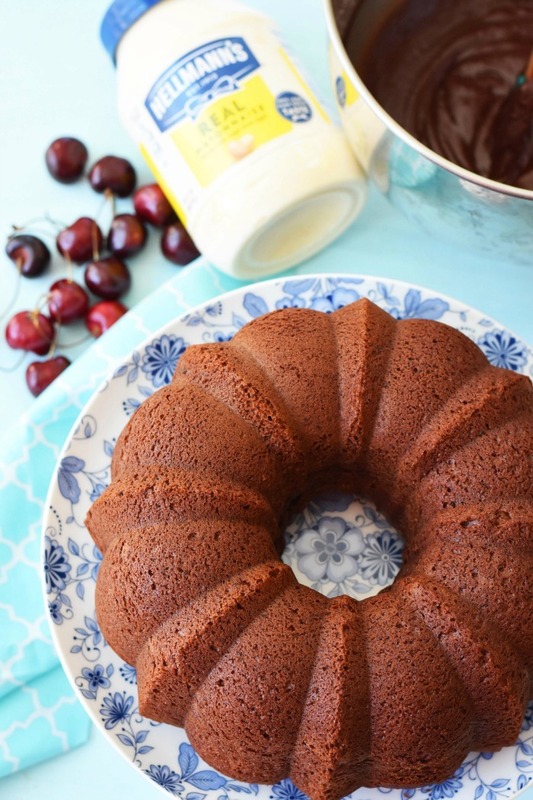 They are oh, so good, and make the perfect meal to enjoy before this Chocolate Cake & Frosting Made out of Mayonnaise. While these burgers were oh, so good–let’s get on to the good stuff–DESSERT. 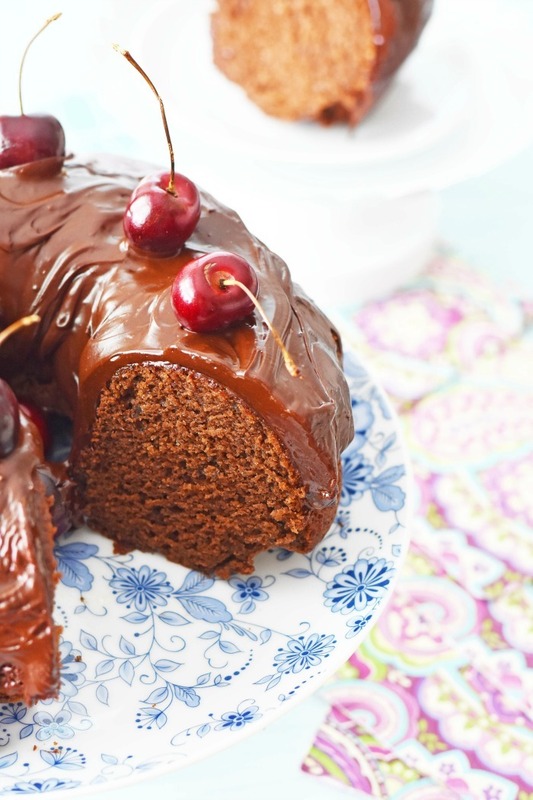 Chocolate Mayonnaise Cake with Mayonnaise frosting–anyone? 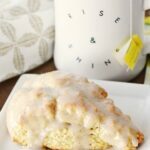 Before you snub the recipe, let me tell you–this is amazing! 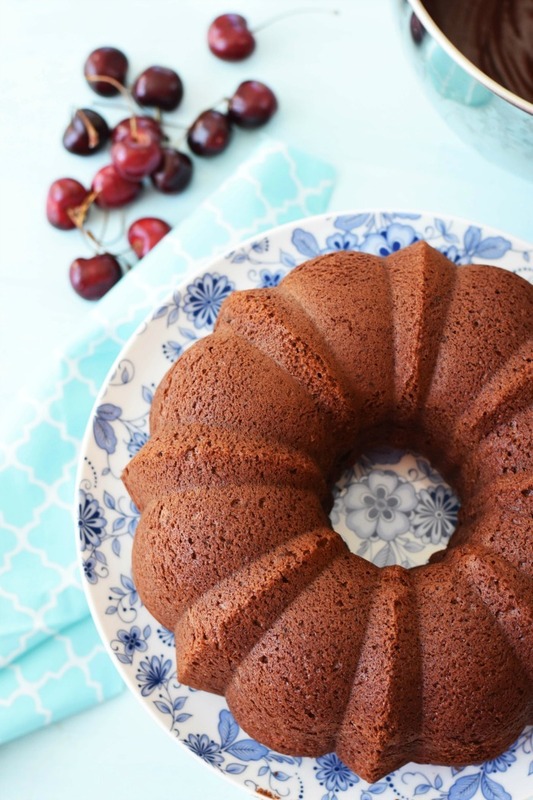 I love how moist, easy, and decadent this cake and frosting combo were. 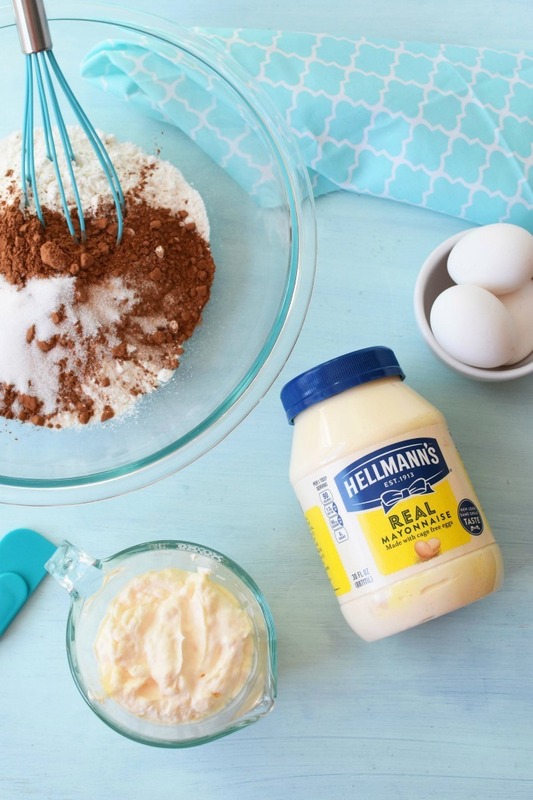 Who would have thought that Hellman’s Mayonnaise could help to produce the BEST chocolate cake ever? 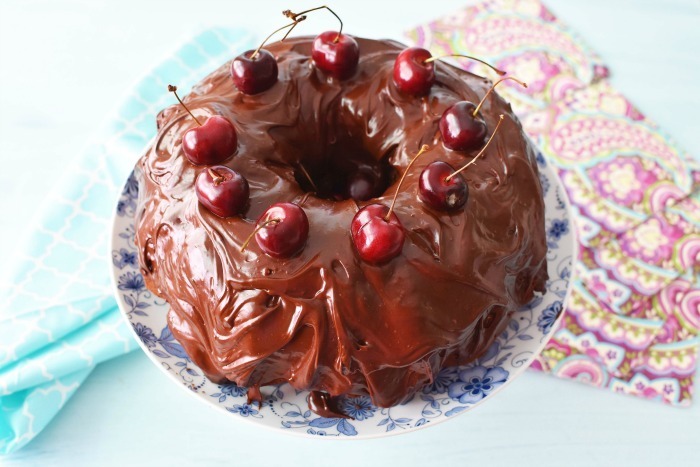 For my chocolate mayo cake, I added some fresh cherries on top. You can omit those or add another topping that you fancy. 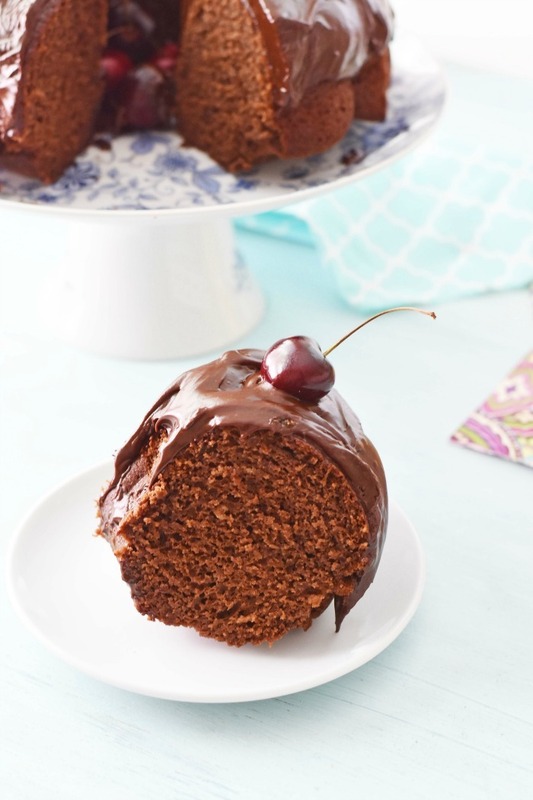 This recipe can also be made into chocolate cupcakes as well. 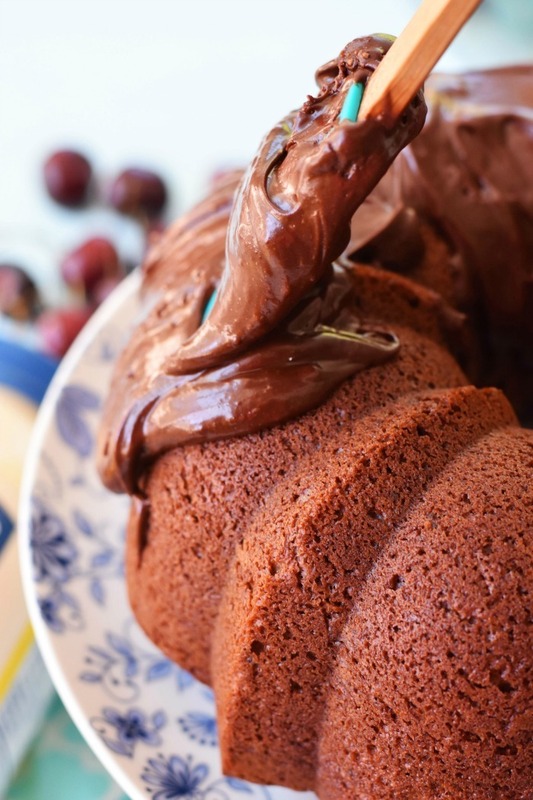 I love how velvet- like the cake was and the frosting–that tastes just like chocolate ganache! 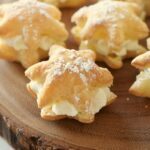 This would make the ideal backyard party dessert because it is quick and does not need to be refrigerated! 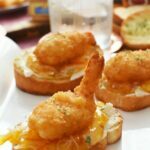 Get the recipe from Hellmann’s below! Pin this for later–you know you want to! 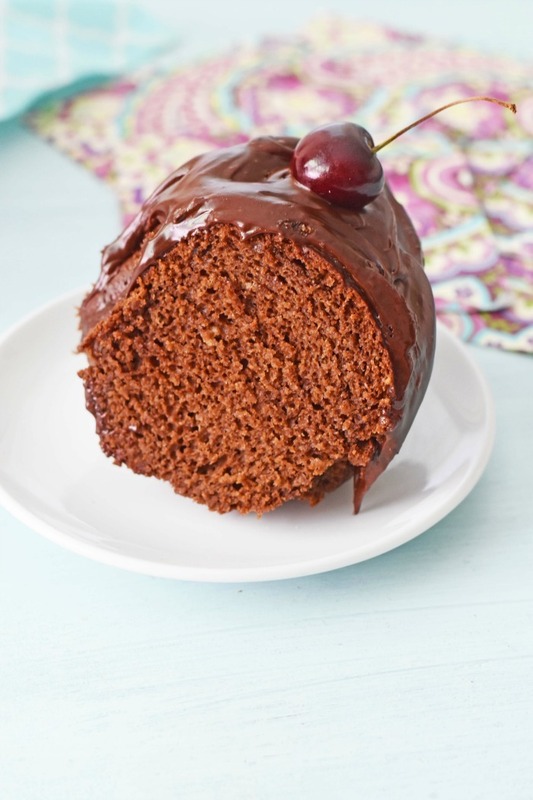 A moist and rich chocolate cake recipe featuring extra velvety chocolate mayonnaise frosting. Spray a bundt pan with non-stick spray. 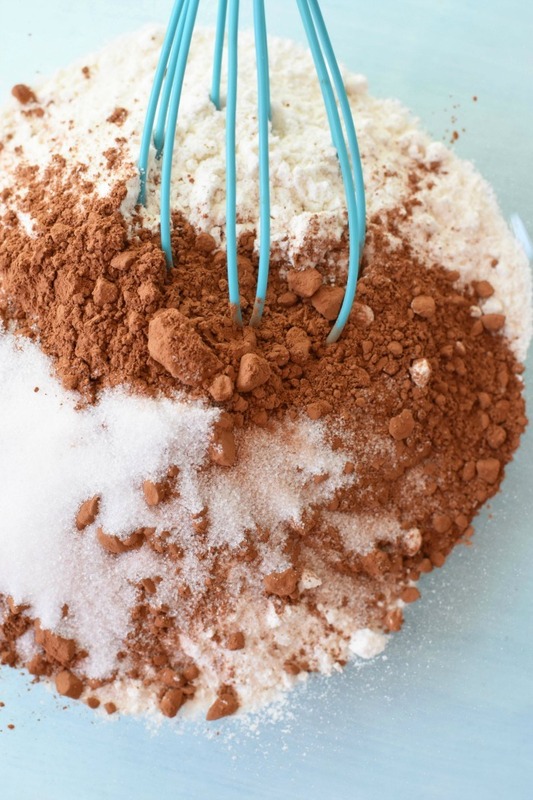 In a medium bowl, combine flour, cocoa powder, and baking soda-set aside. 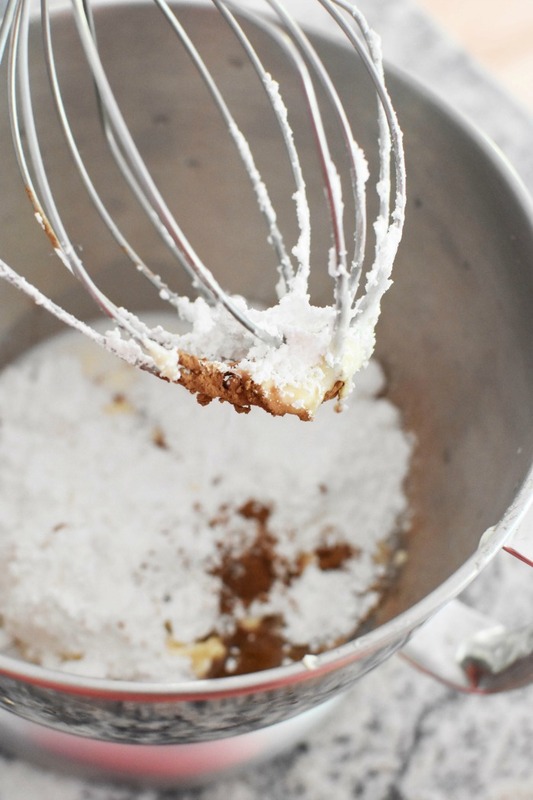 In a large bowl, beat eggs, sugar and vanilla for 3 minutes until light and fluffy. Add in Hellmann’s Mayonnaise at lower speed until blended. Alternate adding in the water and flour mixture starting with the flour mixture, and ending with the flour mixture. Once done, allow to cool completely before removing from the cake pan. Frost with the mayo frosting. 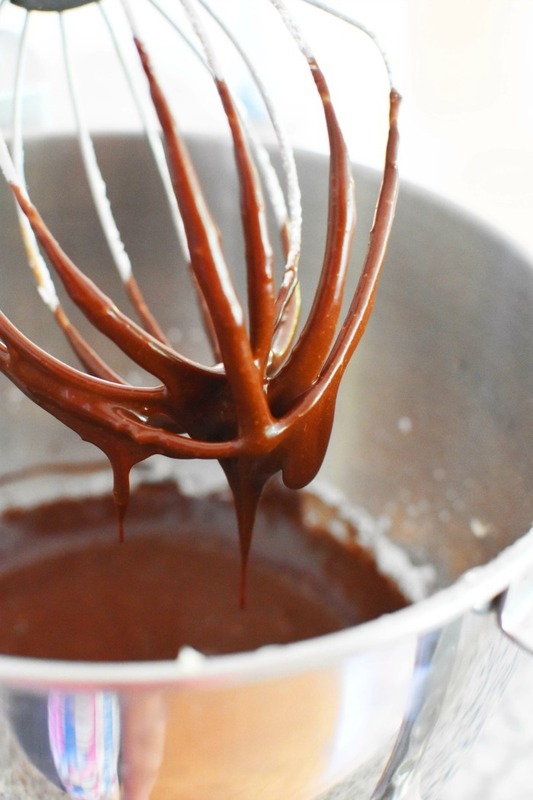 In a stand mixer, add all ingredients and whip until well combined and creamy-about 1 minute. The only chocolate cake my mom would make when we were young was a mayonnaise one. They are so moist. I haven’t tried a mayonnaise frosting before. Something new to try. My dad’s favorite cake is a mayonnaise cake! He requests it every birthday. Your cake looks amazing! I can’t wait to try your recipe! No way! Mayo in cake? 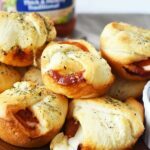 That is awesome and now I need to try this recipe! I can only imagine how moist it is! I am not surprised, I have seen mayonnaise being used more and more lately. My husband uses it on the bread when he makes grilled cheese sandwiches. I love mayonaise. I eat it on tons of food, but I’ve never had it in a cake…or in frosting for that matter. I’d love to try this. This is so very interesting to me. I had no idea that you could make frostings or anything dessert related with mayonnaise. I haven’t ever had cake frosting made with mayo that I know of. but I have definitely had chocolate cake made with mayo. Where is the recipe for the mayonnaise frosting ? Hi Lisa, so sorry! My plugin deleted it. I have fixed the recipe. Thank you for stopping by! The frosting recipe doesn’t call for mayo… ??? Thanks, Lisa! I actually tried both the cake and the icing with baconnaise. It’s very subtle, but good! Thanks, Amy! I actually tried both the cake and the icing with baconnaise. It’s very subtle, but good! Hi, thank you so much for letting me know! I need to try that Baconnaise! Oh my gosh! Both of my comments got posted. I’m sorry, I got mixed up with names. :( I tried to correct it before it posted, but I was obviously unsuccessful. Wasn’t the milk left out of the frosting recipe? Cake is made. Frosting mixed but not sure about how much milk to add. Maybe start with a couple of tablespoons? Thanks for your recipe. I have one from the original jar print., but copied yours too. Hi so sorry, it is 2 tablespoons Sandie!